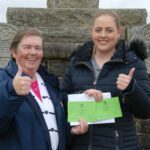 There is more to the Mòd than music and drams, and this year’s Royal National Mòd in Dunoon was launched with a festival of sport. Scotland’s biggest Gaelic cultural festival traditionally features shinty, and this year it was Inveraray and Col Glen adult teams contesting the Mòd Cup on Saturday October 13. A close and hard-fought contest at Dunoon Stadium in wet conditions resulted in victory for Inveraray, who overcame the Glen 6 – 3 after a strong second half performance. Up at the Dunoon Grammar School all-weather pitches there was also a nine-aside women’s shinty match between Oban Lorn and Cowal Ladies, with the Oban team coming out on top 4-1. 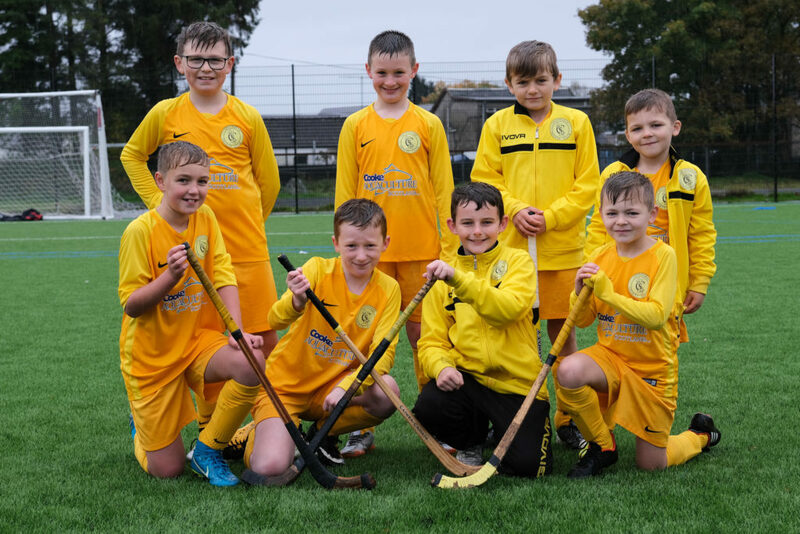 The Mòd played host to the first ever Primary Schools’ Mòd Shinty Tournament, introduced to celebrate Scotland’s Year of Young People, in which Inveraray again came out on top, beating Kyles and Strachur by a goal to nil. In the Mòd Football Cup, Glasgow Islands came through with a 3 -0 win over local team Dunoon Amateurs, which even involved the Glasgow goalkeeper getting on the scoresheet. 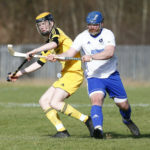 Speaking after the match, John Mackenzie, winning captain of the Inveraray men’s shinty team, said: ‘This was a fantastic result today for the boys. We were up against it with the weather and also a very good first half by Col Glen who came out pretty fast. ‘The manager made a good few tactical changes and we managed to overcome it and it was good to get the win in the end.